How fast January has passed and this feeling is growing stronger every year! Events over Christmas and the New Year made me think about the fact that we all are getting older year by year. 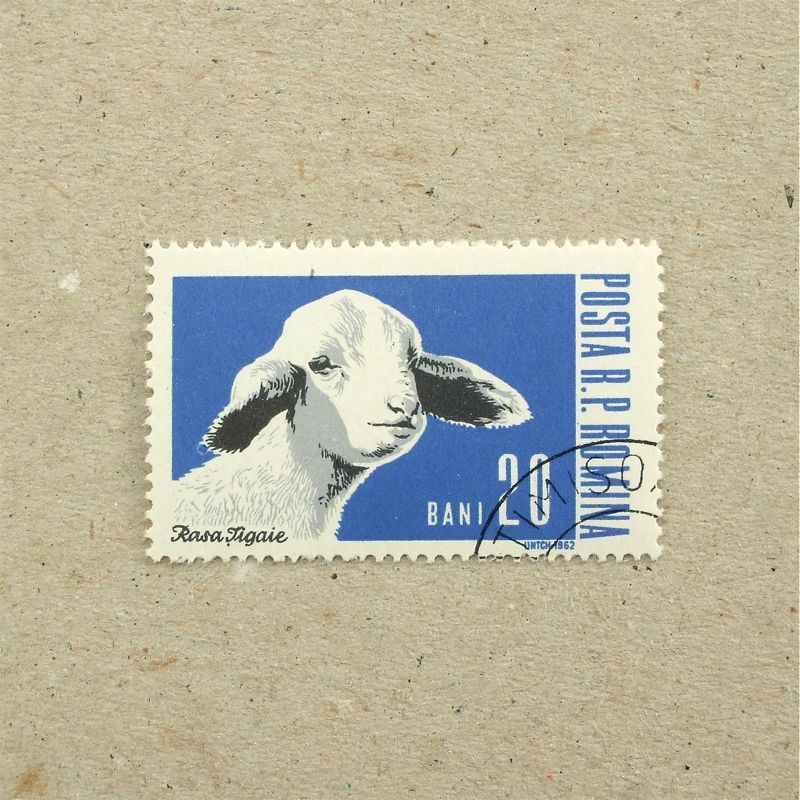 OK, we have to accept it naturally and let’s call it becoming mature, rather than getting old – we might be ‘fermenting’ in other words..
A vulnerable and cute Lamb is grown into a tough Ram in a few years – well, these stamps give us a completely different impression. Some character has gone, but another is developing. 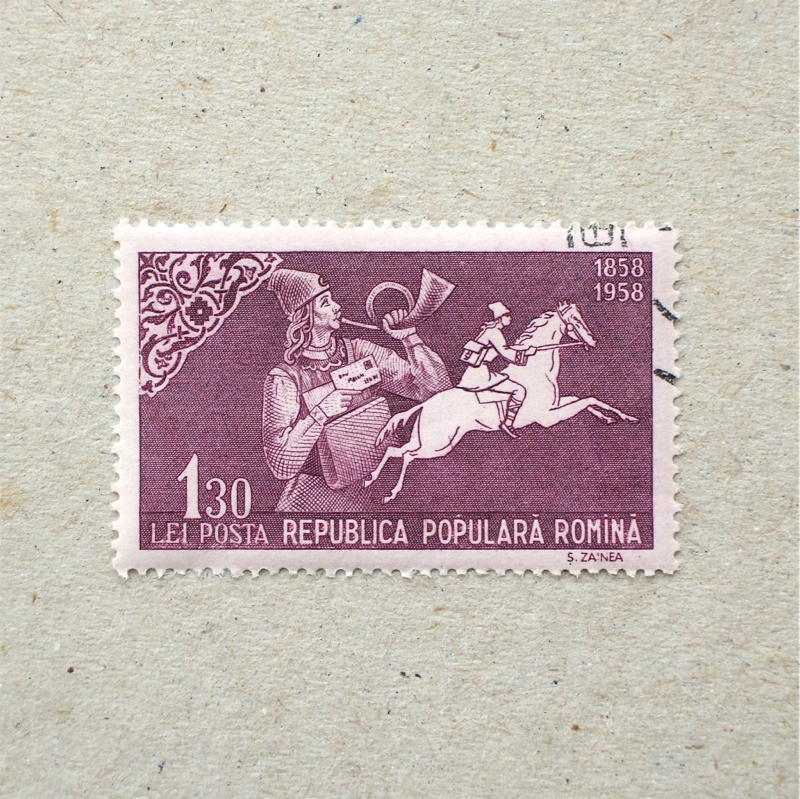 One more 1960’s set of stamps in evocative colours from Romania. Even printed with four colours on coarse paper and picturing life stocks of farmers, if designer has ability to make nice composition and colours, the stamps look good. 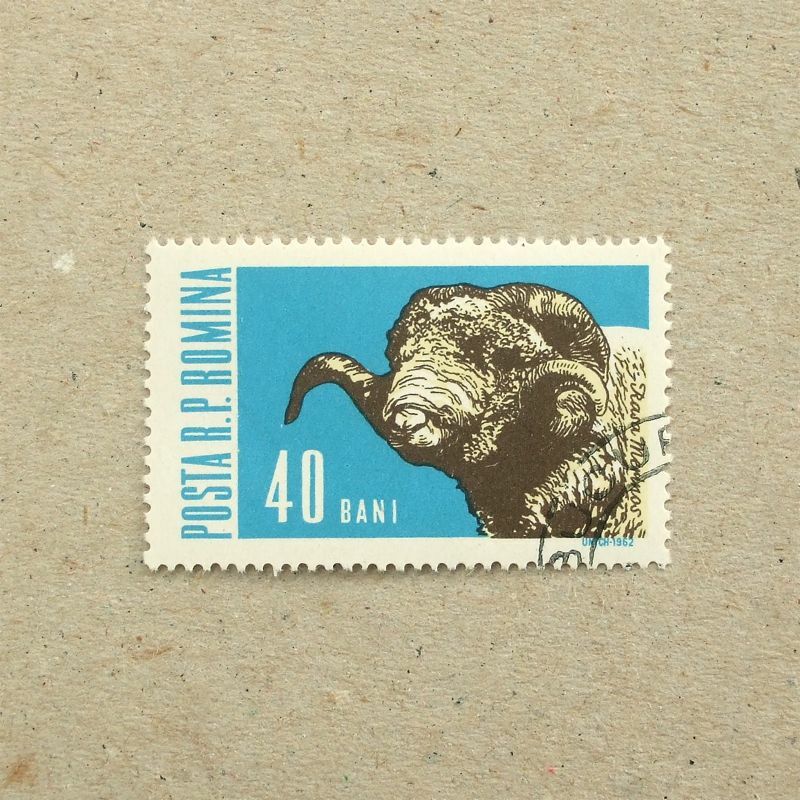 I would smile whole day if I receive a letter with these stamps on. By the way, it is quite interesting to know sound of animals in different country. Pigs talk ‘bu-bu-‘ in Japan and ‘oink oink’ sounds very odd for me. How do bulls and pigs make noise in your language? 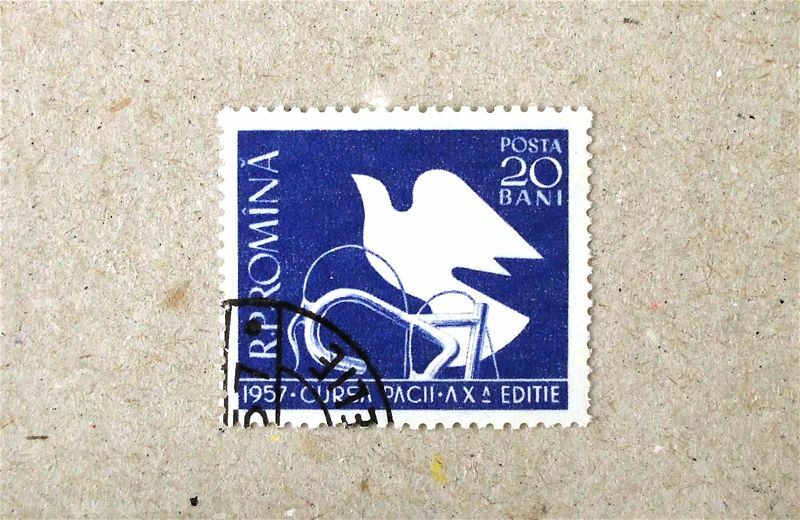 Another handlebar design on stamp, this time it is pictured correct, I think. It is interesting how a part of particular object reveal the whole. 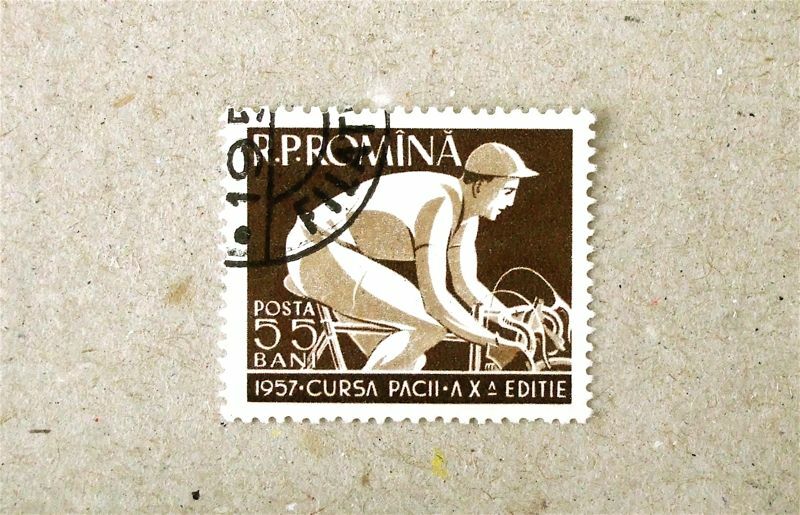 According to ”Bicycle Stamp” by Dan Gindling ( 1997, Motorbooks International ), this Peace Race was held to retain relationship between Czechslovakia and Poland after the World War Ⅱ, started from Warsaw, ended in Prague – then why stamp issued in Romania?